Hey Guys! Welcome to another FIF! This week I am talking about another Freeman product! 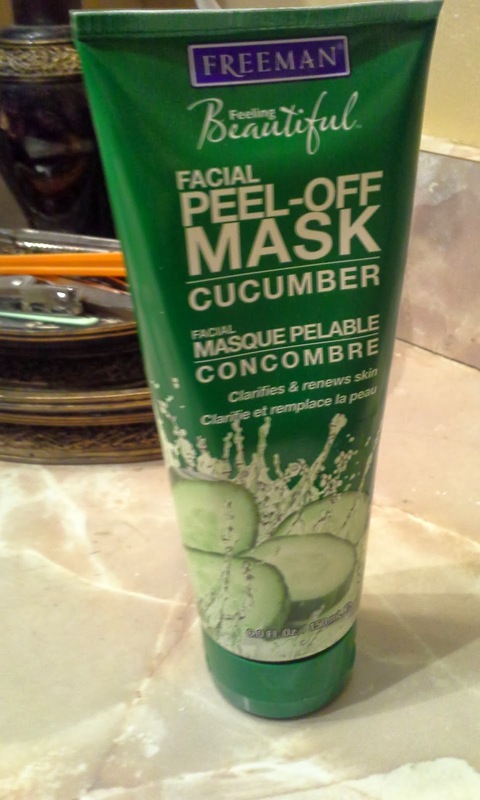 It is the Cucumber Peel off Mask. 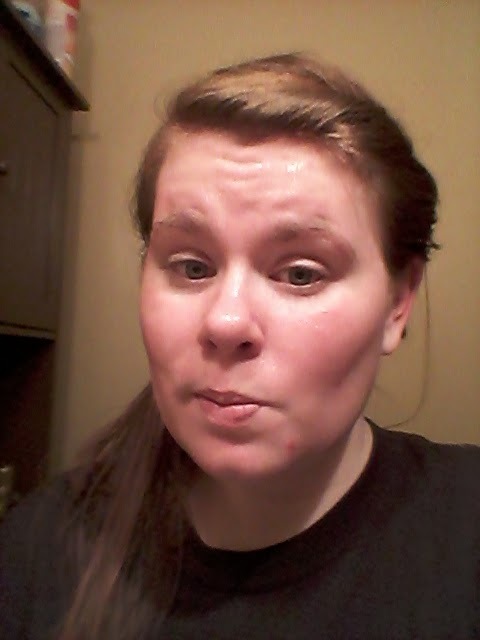 Now I mentioned in my T5T: Nighttime Skincare post that I have been using the St. Ives Peel off Hydroxy Masque for YEARS. I can't find that mask anywhere, so I decided to give this Freeman mask a shot. I will be doing a lot of comparing of these two masks simply because the St. Ives was a holy grail product of mine. When I first opened it and smelled it, I could definitely tell it was a cucumber mask. I even told JP "The only thing I have ever smelled that smelled more like cucumber, is cucumber". It is just such a clean, refreshing smell. I really enjoyed it. As far as texture, this one doesn't seem quite as sticky as the St. Ives mask. It seems to go on a lot smoother. To use this mask, all you do is smooth it onto your skin evenly (avoiding the eye areas). You let it dry for 5-10 minutes, and then you peel it off. It is like peeling dry glue off of your skin. It exfoliates and clears your pores as you remove it (almost like a Biore pore strip, but for your entire face!). This one seemed to dry a lot quicker than the St. Ives one. And I noticed in removing it, that it came off in 2 big pieces (leaving just a few smaller areas behind). The St. Ives one always comes off in a bunch of smaller sections. Overall, I really enjoyed this product. I may even like it better than the St. Ives mask (which is good because I am almost out of it and can't find it anywhere!). The smell and the texture were awesome. The best part though was how it made my skin feel! My skin felt so smooth and clean after using it. I even did my astringent after and there was nothing on the cotton round (that rarely happens). Have you ever tried this mask before? 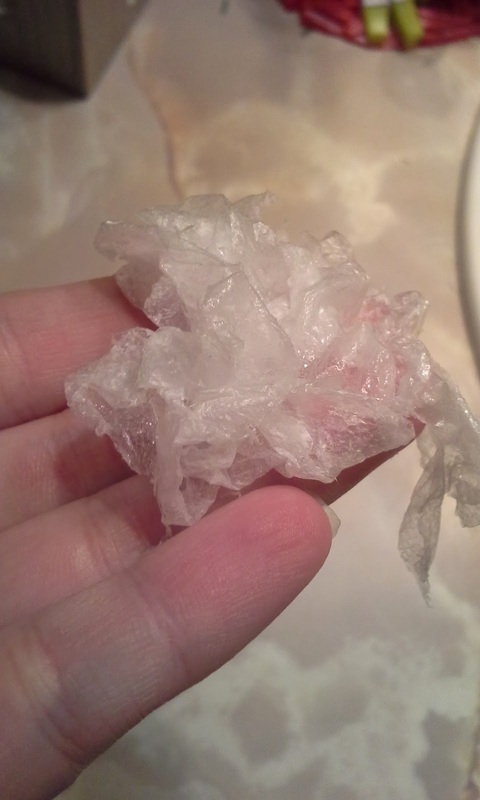 Have you ever tried any kind of peel off mask? Let me know in the comments below! !